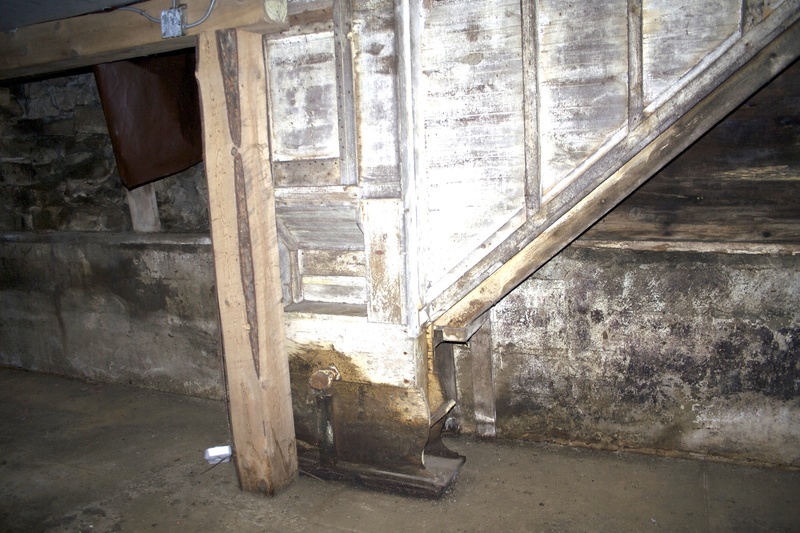 The hopper shown is in the basement of the Mill. You can see the chute to the right where the grain entered the Mill from outside. The hopper is suspended from the Fairbanks scale on the floor above so the grain could be weighed. 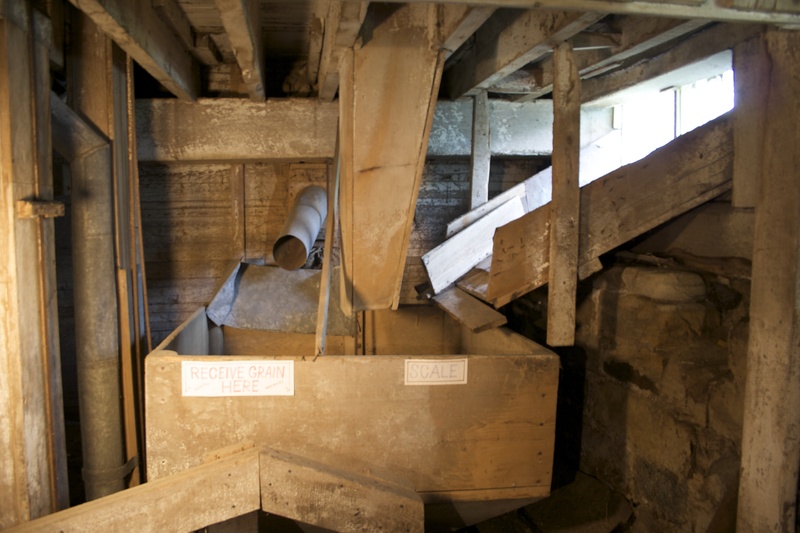 The miller then pulled a control and the bottom of the hopper opened and the grain fell into a pit where it was picked up by the grain elevators and traveled to the fifth floor. The two 36 foot grain bins are located just behind the hopper. In the second picture the base of the smaller grain elevator is shown. Again the grain came in from the right where it was picked up by the buckets of the grain elevator and taken to the third floor.